The folks behind Once Upon a Time knew for a while that many of the original stars weren’t coming back after season six, so they needed a game plan of how to continue the story into season seven. But it looks like no one bothered telling the director or new star what the hell was actually happening. While chatting with The Hollywood Reporter, Once Upon a Time star Andrew J. 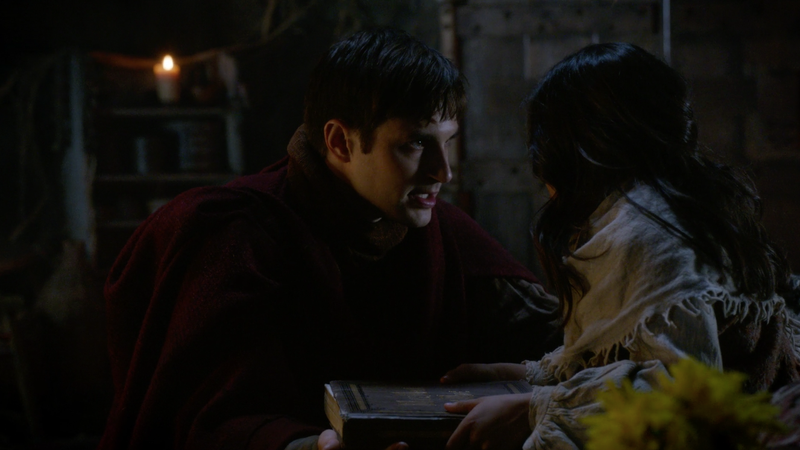 West, who plays adult Henry Mills, shared some details about filming that weird Enchanted Forest cliffhanger for the end of season six. In the first half of the two-part season finale, we find adult Henry running away from an unseen monster. He comes across his daughter Lucy (Alison Fernandez) and orders her to flee with the storybook while he faces down the threat. We’ve been led to believe that the mysterious creature led to the new curse, but West said it was originally more of an “insert plot device later” situation. I’m shooting a scene where I’m with my daughter in fairy tale land in a cave, and something’s chasing us. Nobody has any idea what’s going on. The director of the episode, nobody really knew. They were just like, ‘We’re just playing like something’s going to kill you guys and we’ll figure out where this is going later.’ It’s tricky, but super exciting. West said the team started filling in the pieces a few months ago, after the show had been picked up for season seven in May, but there’s no clue how the Enchanted Forest cave scene is actually going to play into it...if it does at all. West added that many parts of the storyline are “just getting revealed week to week as scripts come in,” so who knows how it’s going to turn out. But honestly, given how much I surprisingly enjoyed the season seven opener, I’m okay with them making it up as they go along, so long as it stays good. Then again, it’s Once Upon a Time. I may be setting myself up for disappointment.